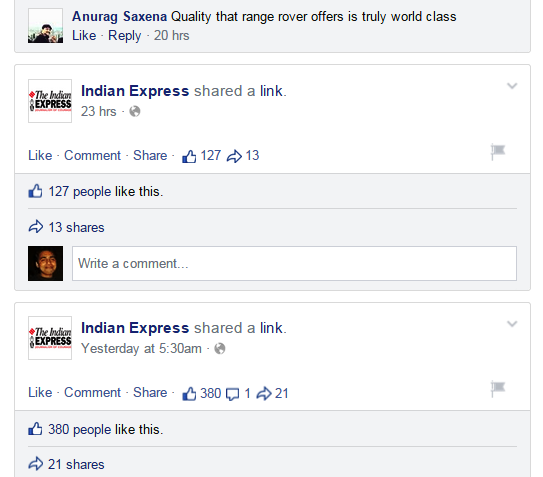 Innovative Marketing Board: Range Rover uses an accident for its PR drive in India. 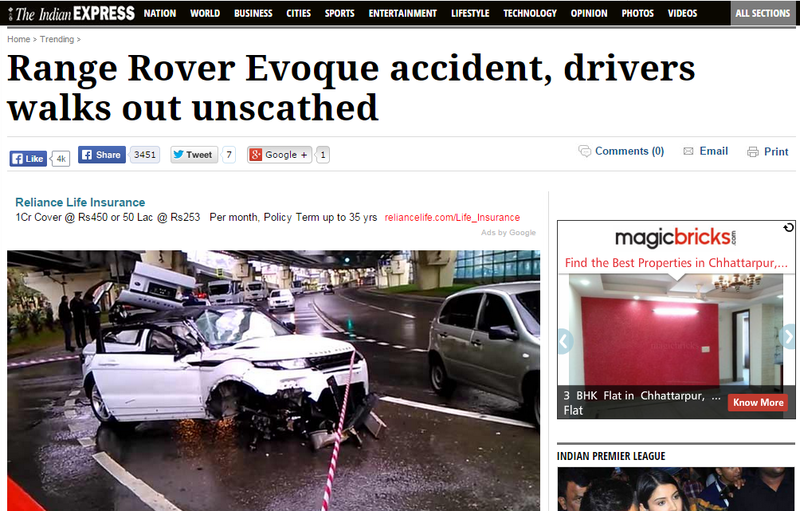 Range Rover uses an accident for its PR drive in India. Jaguar Land Rover launched the localy assembled Range Rover Evoque in India, last month at slashed prices as a part of its expnsion. Their PR team found this video of an accident of Range Rover Evoque online or manipulated one to showcase the safety benefits of this car. 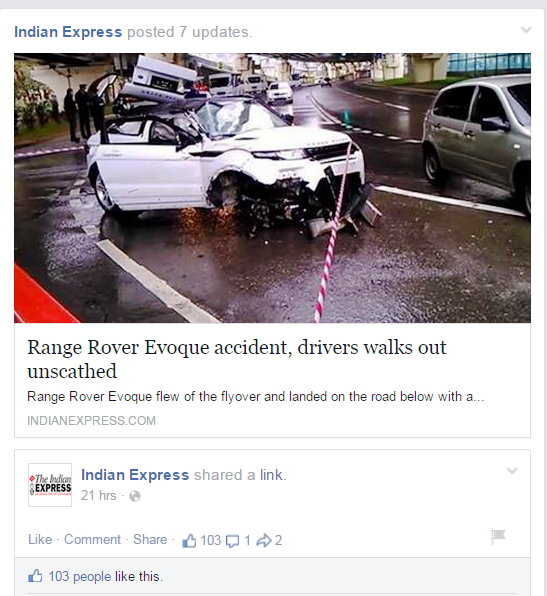 It then got a national newspaper Indian Express to publish this as a news report titled 'Range Rover Evoque accident, drivers walks out unscathed', just based on an youtube video source, to amazing success. Whatever the arrangement, Indian Express then posted this story on its Facebook page over 8 times in a day to get hundereds of share for this story and valuable comments like these. Kudos to the Range Rover PR team for this innovative execution. Newspapers too seem to be doing well with this new opportunity of monetisation as content marketing grows in importance in digital marketing for brands. To see how "Range Rover Evoque flew off the flyover in Sochi, Russia and landed on the road below with a ‘thud’" while "surprisingly and miraculously the driver got out of the car scratch-less." 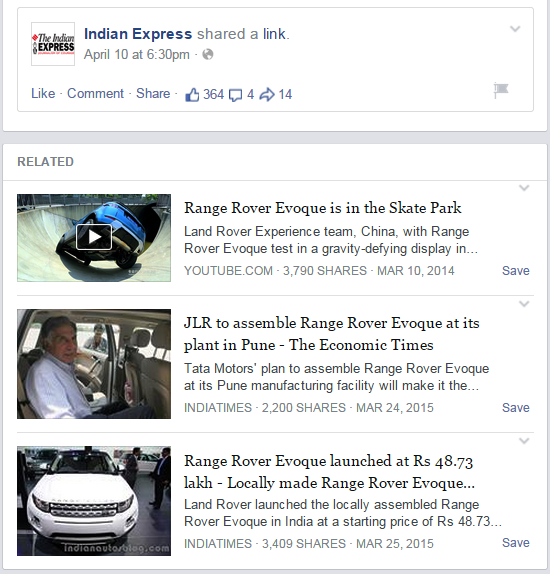 as reported by Indian express sub editior Aditi Malewar's, see these videos.